I was recently contacted by the people at PhotoBox asking me to check out their products and give my honest opinion. I have to say that this opportunity couldn’t have come at a better time as since Isla was born I’ve meant to make a photo book of her and 21 months later I still hadn’t done it! All photos of her were either still on my digital camera or in an array of folders on my laptop! Seeing as baby boy is coming in July I felt that it was high time we put together a record of Isla’s first years before he arrives. PhotoBox is a great site offering their customers with beautiful and innovative ways of making the most of their family and kids snaps. PhotoBox supplied my account with £30 credit and invited me to use it to either order a Canvas print, make a photo mug or photo book. Photobook was my choice and so I set to work making it! Firstly I had to wade through almost 2 years of photo’s! Obviously this is my fault and I’m sure some of you are far more organised than me and have them properly catalogued! This took me an entire evening but what I was left with was 130 photos to then whittle down to my favourites to put in the book. Although it took a while, I really enjoyed looking back over the old photo’s and seeing how Isla has changed from a newborn into a toddler. Her character shines through in recent photo’s and I felt like I couldn’t wait for this to transfer to our very own book. I uploaded the photos to the site, this took no time at all and then I selected the option to make a photobook. 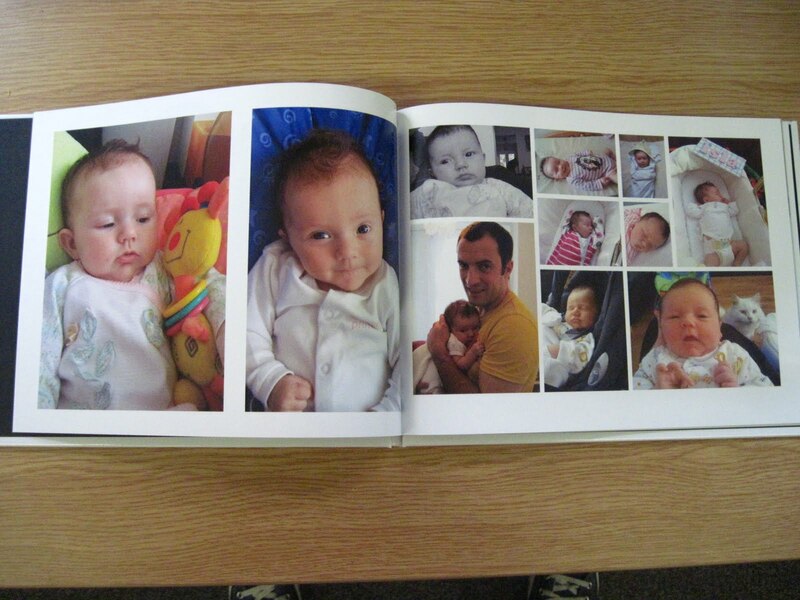 I chose to make a A4 Personalised Photobook I opted to use the 'Instant' way of making the book where the photos get taken from your album and the book is automatically created for you. This is genius as it can save you a lot of time fiddling around manually creating the book. I don't have a great design eye, so this helped me a lot. I could see that my 130 photos made a book that would cost in the region of £50, slightly more than I had in mind. So from that point onwards I went through the book deleting photos that I felt didn't make the final cut, moving photos around and whittled the book down to 36 pages, a more reasonable £39.49, plus postage and packaging of £3.99. At this point I found a discount code that entitled me to £5 off when I spent £20, so I used this and my book was then £34.49, plus p&p. I find that there are always discount codes for these types of products and they can really make your item more affordable. The process of making it was so enjoyable as although I created it instantly I also then manually rearranged photos and made some more of a feature than they were when they were automatically put in. It also helped to show me which photos I could really do without in the book - I will just get these as prints I think. I absolutely love it! 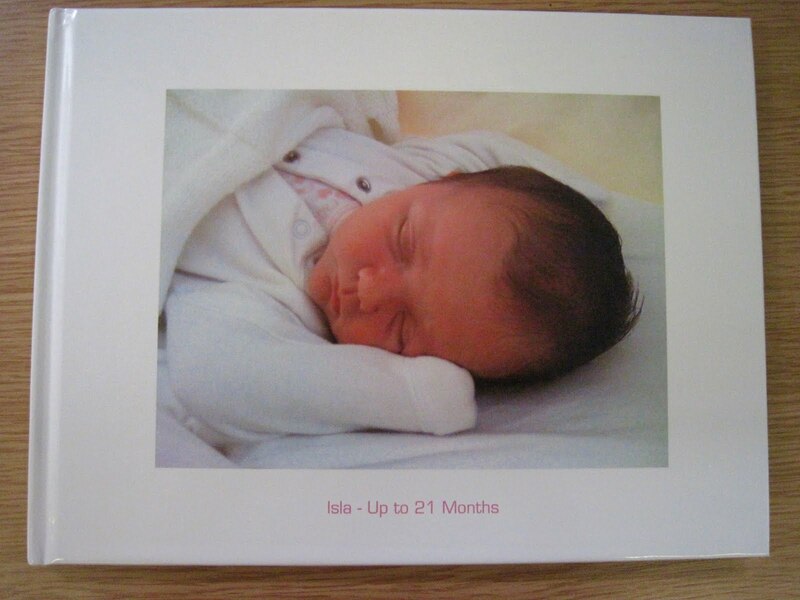 I love the whole idea of Isla starring in her own book and I love how it documents her growth from birth to now. The memories that it evokes every time I flick through it (which I have done at least 50 times now since it came in the post!) are amazing. I now can't wait to show it to people. It's also made me realise I've been a real slacker and need to get my 4 year old wedding photos in order too, so that will be my next project! 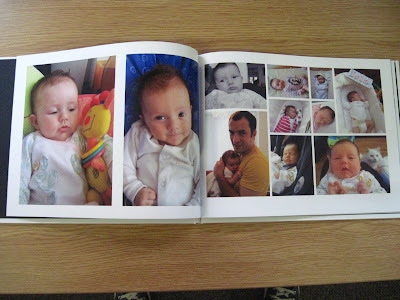 So in summary, big thumbs up from I Heart Motherhood for Photobox, I'll definitely be using them again for Photobooks! ooh hope you love it as much as I do! I can't wait to show my mum tomorrow!